Even if you don’t know London, you’ll know The O2. Previously the Millenium Dome, it’s had a few iterations over the years, and now lives its life as a concert venue pretty much. 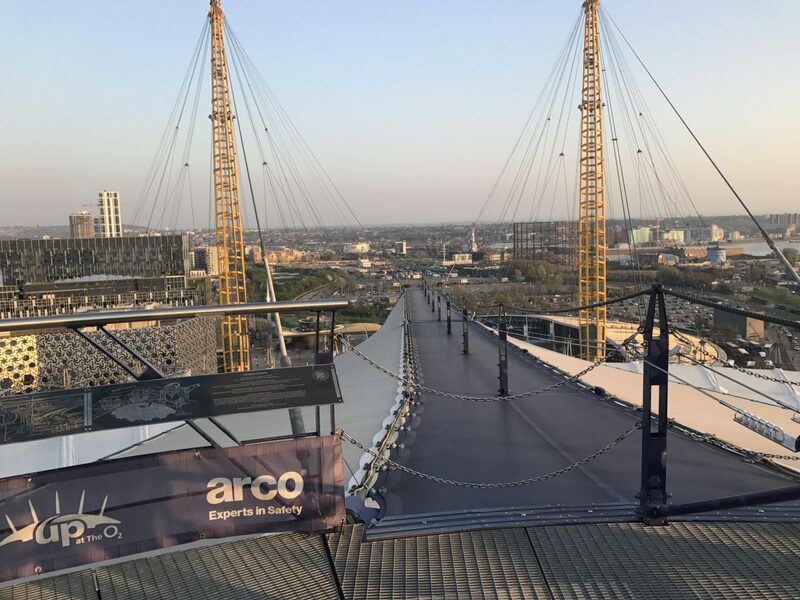 You can scale the O2, walking up and over it. You’ll head down there and get a swift safety briefing. Then they’ll show you into a room where you’ll put on a harness and be ready to click on to the safety rail. It’s actually a hard-ish walk, because the surface of what you walk on is ‘bouncy’. Once at the top you can unclip yourself and walk around to take in all of glorious London. Our weather was INcredible, and we could see for miles around. 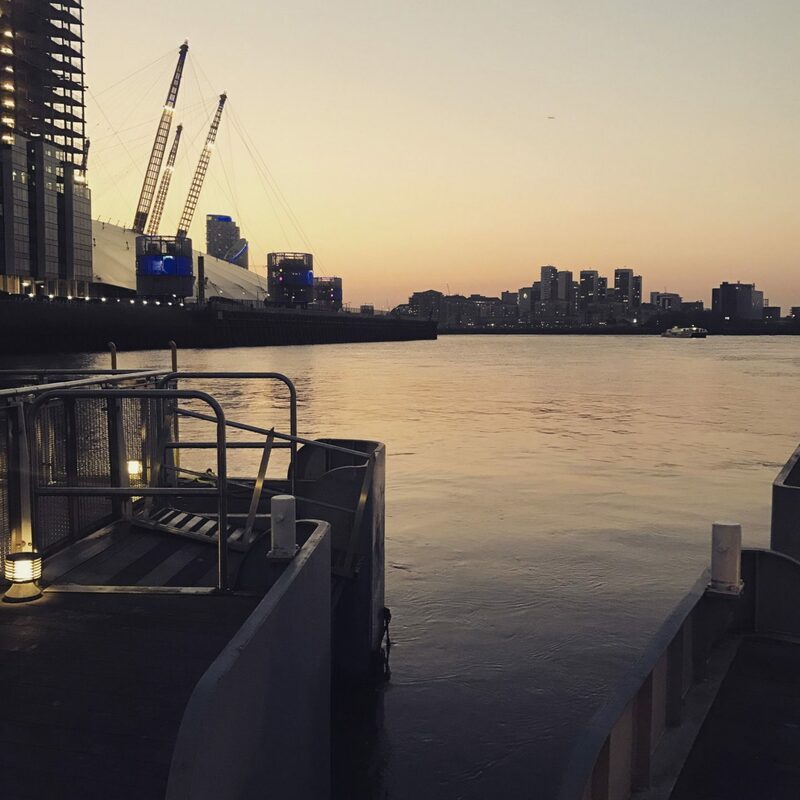 After that, we caught a boat over to Greenwich, where we meandered towards the Cutty Sark and treated ourselves to a glass of a prosecco, before heading on to dance the night away. 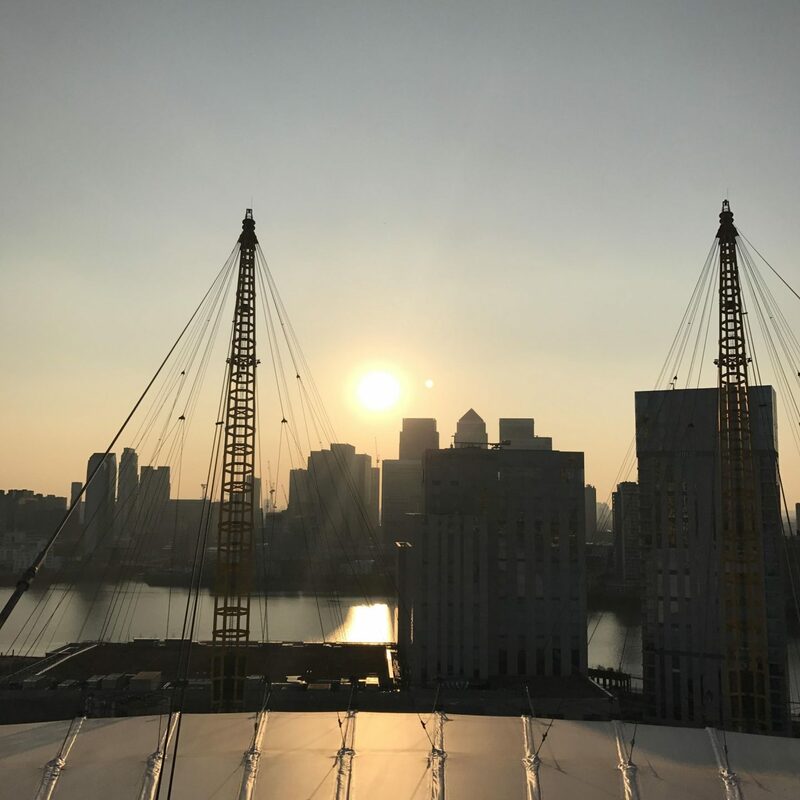 Check out climbing The O2, here. Next Post Bottomless Brunch & Adventures in Richmond. Ahh it looks like you had a great time! I used to live in Greenwich but I’ve never gone Up at the O2, I definitely want to though! Oh really – I’m so envious, Greenwich is really pretty! I def recommend it, its a really good laugh although I can’t say I would have felt the same if we’d had bad weather! Couldn’t agree more with you about the joys of being a tourist in your own city! I absolutely love exploring Oxford even though I’ve lived here for four years now! Living so close to London as well, I really have no excuse for not visiting more! 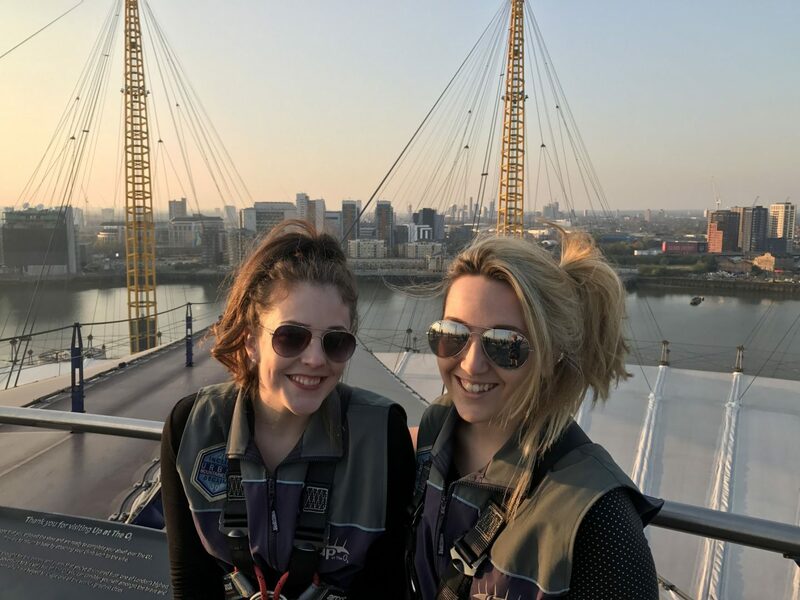 I would absolutely love to have a go at this O2 experience, the views look incredible! The ‘bouncy’ surface certainly sounds interesting!! 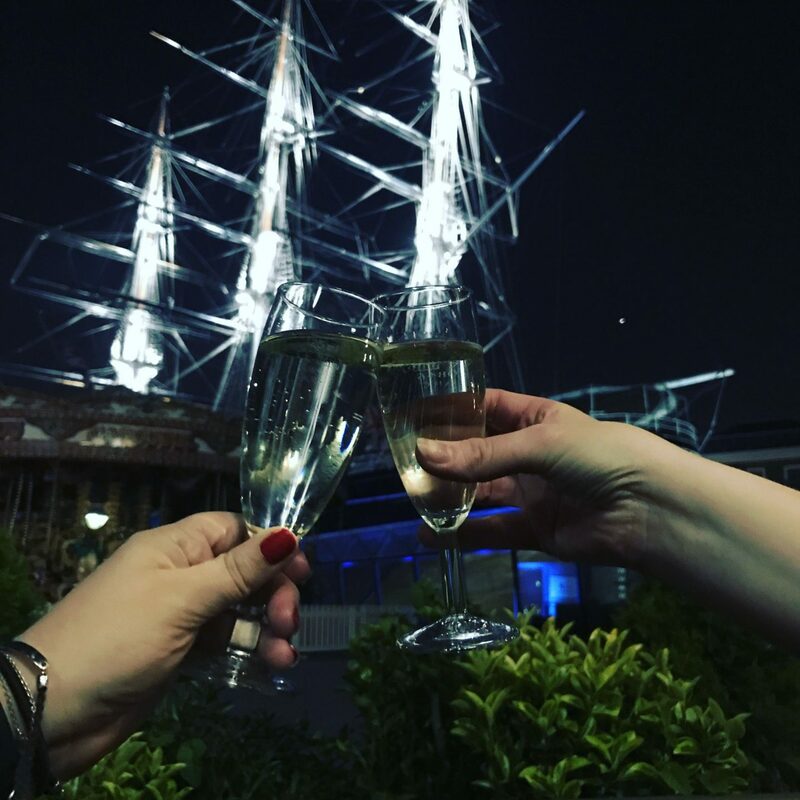 Prosecco at the Cutty Sark is the perfect way to end the day! Cheers!